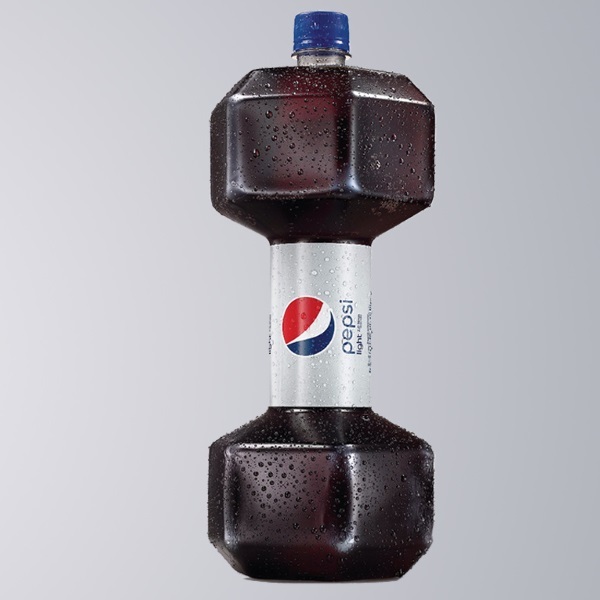 What exactly was the point of Pepsi’s new design of this ‘dumbbell’ bottle ?? We have no idea. 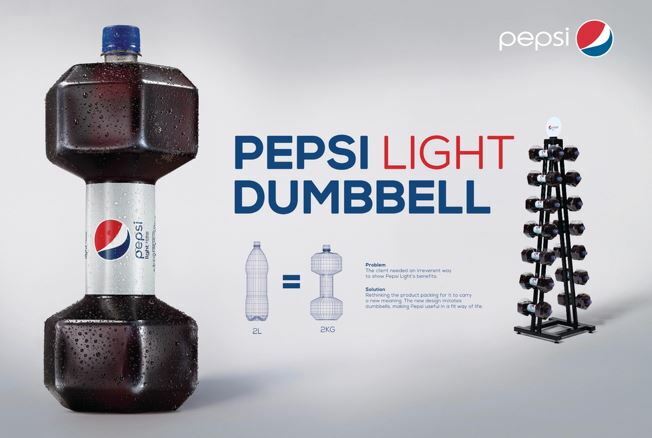 Pepsi transformed its two-liter Pepsi Light bottle into a two-kilogram dumbbell. A lot of controversy has stirred up on the internet about Pepsi’s new concept design, mainly about it being contradictory to what the product is. Although It’s a calorie free product, this beverage is not what a gym rat or any health/fitness enthusiast would drink – especially during their workout. And although this is an interesting design indeed, it would have been more suitable for a sports drink brand (like the Gatorade maybe). We weren’t entirely sure this wasn’t an early April Fools’ joke, but we heard that Brazilian agency AlmapBBDO created the packaging and distributed the bottles to gyms. Whatever the case is, we recommend that after drinking or whatever you do with the beverage, you can just fill the bottle up with sand and use it as a real dumbbell. What are your thoughts on this ? Write us in the comments. In the meantime if you want to use a supplement during your workout, here is a list of the best intra workout supplements.